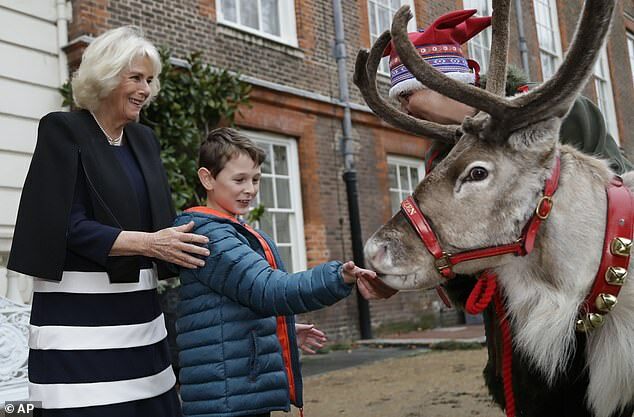 The Duchess of Cornwall invited a group of sick and terminally ill children into Clarence House today for an afternoon of festive fun they will never forget. 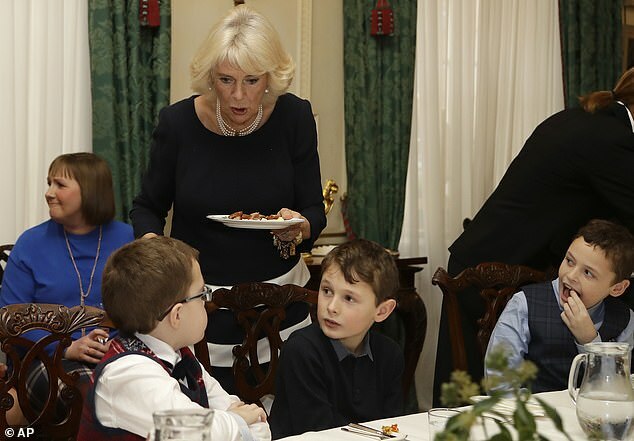 There was sausages and mash made into smiley faces, tree decorating – and even Father Christmas spared two of his reindeer, Dancer and Blitzen, for the children (and Camilla) to stroke. 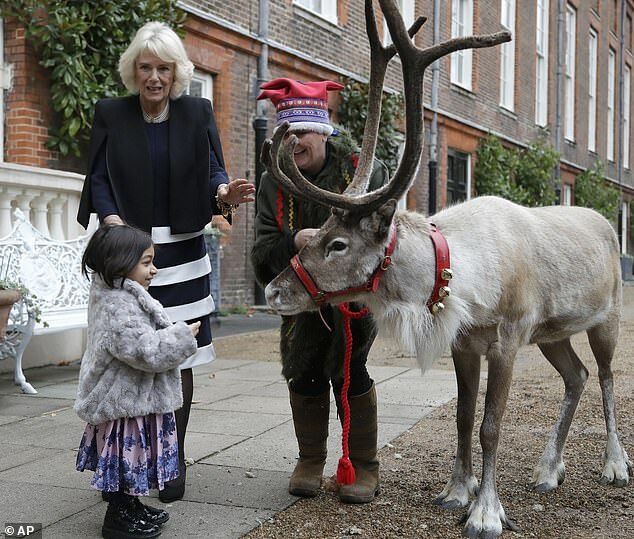 ‘It’s a very serious reindeer,’ laughed Camilla. 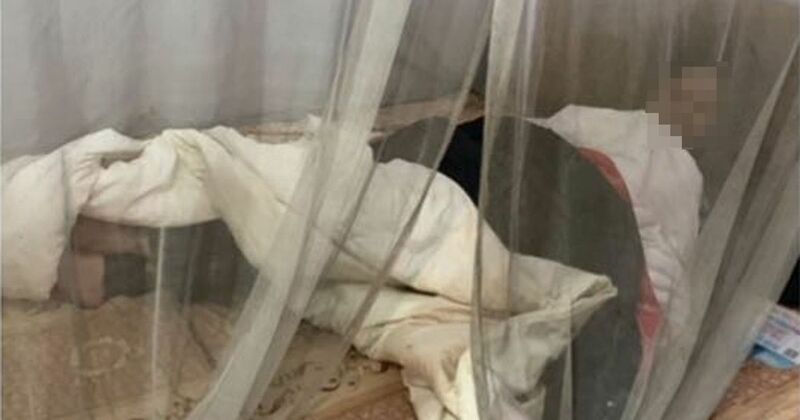 Lara, who was joined by mum Semar and her Roald Dahl nurse Anna Jewitt, has an undiagnosed condition and is under the care of Great Ormond Street Hospital. She is one of four disabled actors playing the character of Tiny Tim in this year’s production of A Christmas Carol at the Old Vic Theatre. 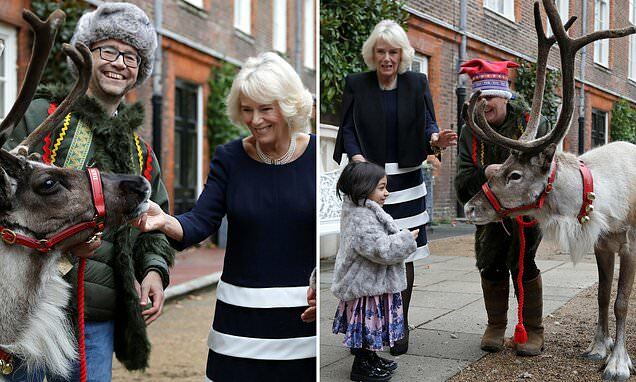 The fun was part of an annual event that the duchess throws for the children of Helen & Douglas House, the world’s first children’s hospice in Oxfordshire, which provides medical, emotional and practical support for seriously ill children and their families. Youngsters helped by Roald Dahl’s Marvellous Children’s Charity were also in attendance with Camilla patron of both organisations. 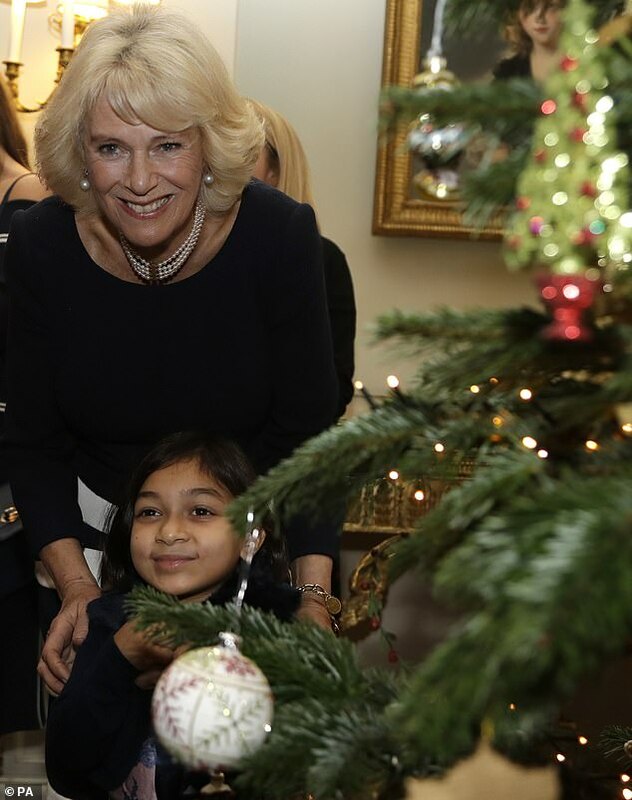 The children and their families were invited to her official London home to meet the Duchess before being asked to help her decorate a Christmas tree with brightly coloured ornaments. 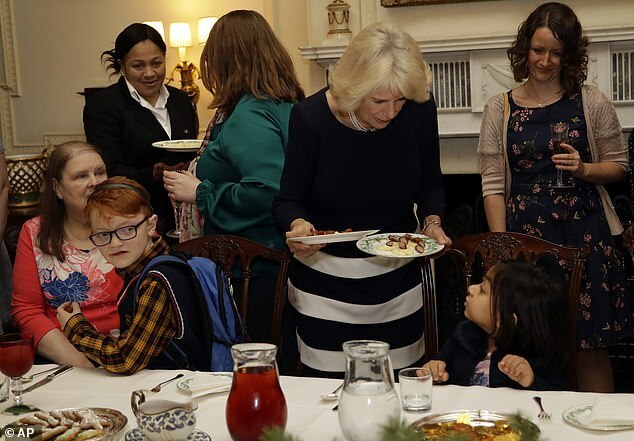 There was time for a fabulous lunch served by Camilla herself, dressed in black and white Bruce Oldfield, and her team with squash, gingerbread cookies and cakes. Among the guests were Darre Downey, ten, and his mother, Kerrie, who flew over from Belfast. Darre’s mother explained that he suffered a brain tumour and stroke two years ago and was receiving care and support from Roald Dahl. 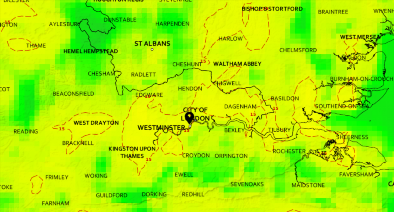 ‘It’s just such a wonderful event,’ she said. Tyler Standing, six, from Brighton, was with his parents, Jane and David. He was diagnosed with Duchenne muscular dystrophy (DMD) a genetic disorder characterized by progressive muscle degeneration and weakness. Although a chatterbox normally, he completely clammed up on meeting Prince Charles’s wife. 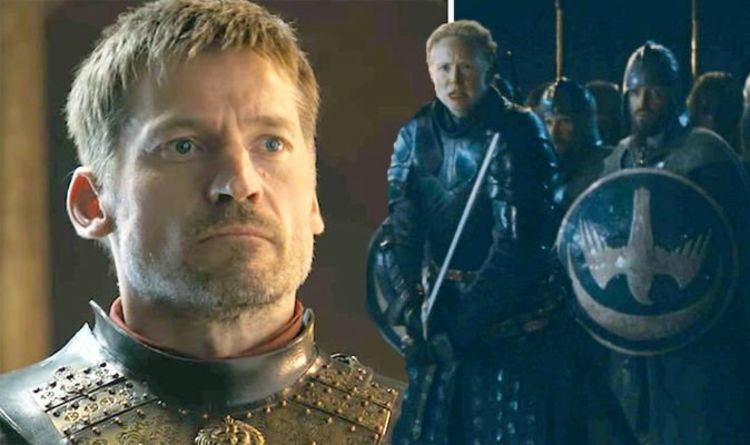 Jasper Grannum, of Chalfont St Giles, was thrilled when Camilla offered him a second helping of his favourite sausage and mash. The 12-year-old Chelsea FC fan suffers from Duchenne Muscular Dystrophy, a progressive muscle wasting condition, which has left him confined to a wheelchair since last year. Jasper goes to Helen and Douglas House hospice for respite care, giving his family, including a nine-year-old sister, a break from 24-hour care. 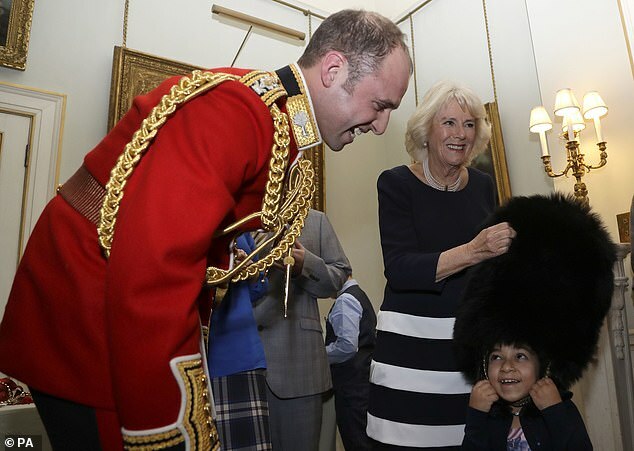 The Duchess also invited the youngsters to try on a bearskin worn by assistant equerry Jack Farmelo, of 1st Battalion the Welsh Guards. Alexander Harvey, 10, of Northampton, was joined by mum Elizabeth and grandmother Valerie Bignell, after being invited through Helen and Douglas House. After the lunch the duchess handed out goodie bags and told the children and their parents: ‘I hope you’ve all enjoyed your lunch today. The duchess is patron of Helen & Douglas House, which helps families cope with the challenges of looking after a terminally ill baby, child or young adult who will die prematurely. 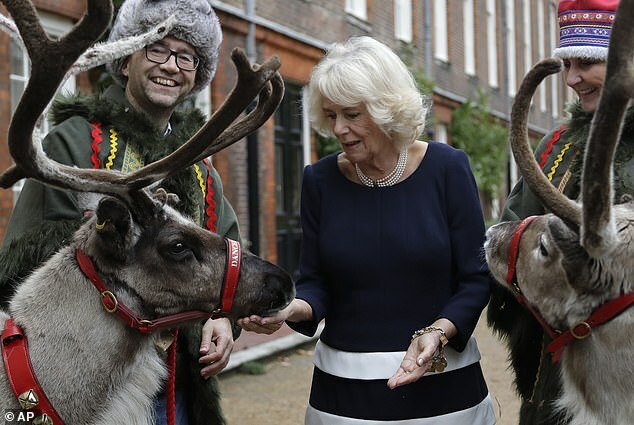 Camilla took up her role in 2007 and this will be the eighth time that families supported by the charity, along with hospice staff, have been invited to decorate the Clarence House Christmas tree. Roald Dahl’s Marvellous Children’s Charity was founded more than 25 years ago by Felicity Dahl in memory of the determination of her husband Roald Dahl, the famous children’s author, to improve the lives of those around him. Working in tandem with the NHS, the charity has now funded 58 specialist nursing posts around the UK, helping more than 12,000 seriously ill children and their families each year.